Overview... a Russian ballerina whose glory days are behind her. The audience no longer applauds as loud as it used to and the houses are only half-packed rather than full, but what burned Grusinskaya most was the lack of love in her life. During her stay at the Grand Hotel, the Baron broke into her room in hopes of stealing her jewelry. When she came back mid-robbery, he hid in the closet and witnessed her suicide attempt. After stopping her, the two bond and form a mutual attraction. 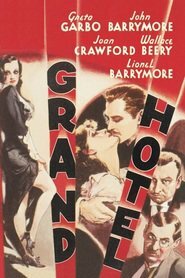 But like many encounters in the Grand Hotel, this one may prove to be all too fleeting. Personality... high-strung loner perpetually on the verge of a nervous breakdown. Grusinskaya is a ball of contradictions. She wants to be alone, but she doesn’t. She’s delicate but lives a life of passion. She feels everything too much – except for happiness. Her world of darkness and gloom can be completely turned around by even the slightest human connection but this, too, has its obvious disadvantages. Grusinskaya's popularity ranking on CharacTour is #4497 out of 5,000+ characters. See our top-ranked characters and read their profiles.